Recently I received a couple of questions concerning the writing I had done about the specialties in dentistry. I will try to address those questions here. One person couldn’t understand why when he was sent to a specialist, the specialist did an exam instead of simply starting to do the work. The relationship between a general dentist and a specialist is not that of a general contractor and a sub contractor. The specialist has enhanced training and expertise beyond what the general dentist has. The general dentist may refer a case to the specialist thinking the best way to resolve the problem is in a certain way. However, the specialist is going to review the case and make his or her own assessment of the situation before simply forging ahead. A specialist may have more options to present to the patient than the general dentist was aware of. A specialist might have a diagnosis of the problem that is different than the general dentist thought or might feel the prognosis (how long is this going to last me) of the tooth is so poor that only extraction is really an appropriate option. In short, part of the value of seeing a specialist is in the added depth of his or her understanding of the situation. As a patient, this added knowledge is valuable, because in the long run it will save you time and money. Another fellow asked me, “What if I don’t want to go to Winnipeg to see the specialist?” We live in a small town. As such, we do not have all the specialties available to us in the local area. The standards in the field have changed—they are higher now than ever before. As well, patients are often wanting to keep teeth most people would have had extracted years ago. Because of this, specialists are required for more cases now than they ever were before. And this trend is continuing. As I have said before, just as your family doctor no longer takes out your tonsils or your appendix, often your general dentist does not take out your wisdom teeth. I had a professor back in the 80’s who once told us that if the case is too complicated, there are too many teeth. When there are significant complexities to the case and a patient will not travel to see a specialist, often the tongue in cheek view of my professor becomes the reality—leaving only extraction as the answer. Here’s another one that keeps popping up, “You just want to get me to go to the specialist so you can collect the fee and not have to do the work.” This sort of thing is not allowed in the dental field. There is no “kickback” to the general dentist when a specialist takes care of a case referred to him. As well, there is no fee for referring a case to a specialist (or for a dentist writing a prescription). In fact, from a monetary point of view, a referral to a specialist is a case that will not be done by the general dentist. The one who benefits when a patient is referred to a specialist is the patient. For the dentist, the case often becomes more complicated and its timing is no longer in his control. But this really doesn’t matter because the outcome will be better for the patient so the dentist will be more than willing to work around the other complexities caused by the patient seeing the specialist. “What if I want a second opinion?” Wouldn’t that be great! Everyone involved has the goal of providing the best possible care for the patient. If you would like a second opinion, let’s figure out who is most qualified to give you that because you deserve it and it will make the prognosis (how long is this going to last me) better. 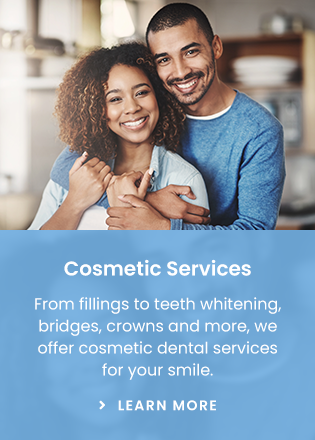 If you are not comfortable with what is planned or if for any reason you would like another professional to have a look at your case, you should not feel strange at all for saying exactly that to your dentist.